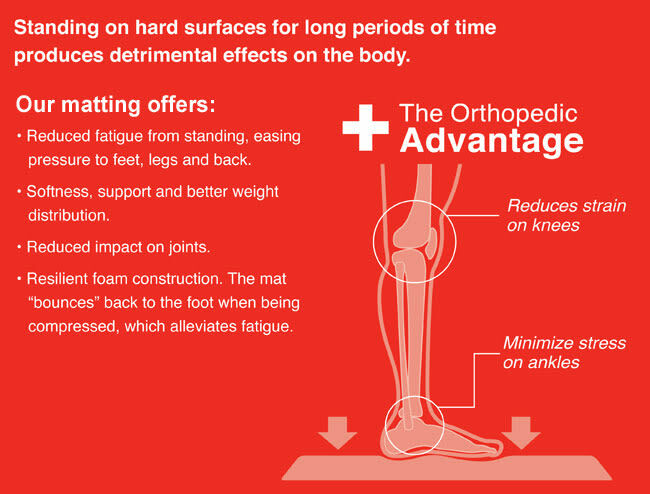 Ergonomically designed to reduce worker fatigue and improve comfort. 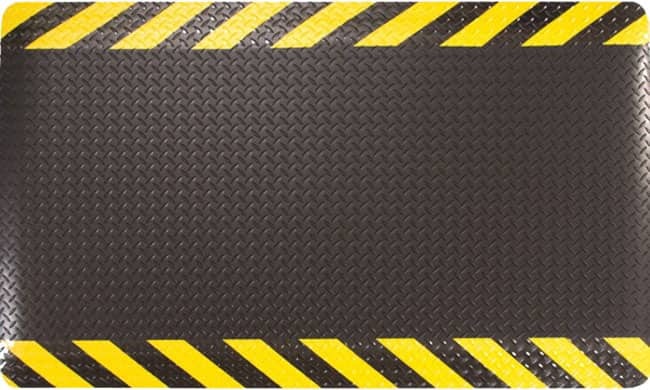 Industry favorite, non-skid, diamond pattern provides an abrasion and slip-resistant surface. Also has four tapered edges for safety. Recommended uses include: Dry work areas, automotive and industrial work cells, shipping and packaging work cells, machine shops and maintenance areas. 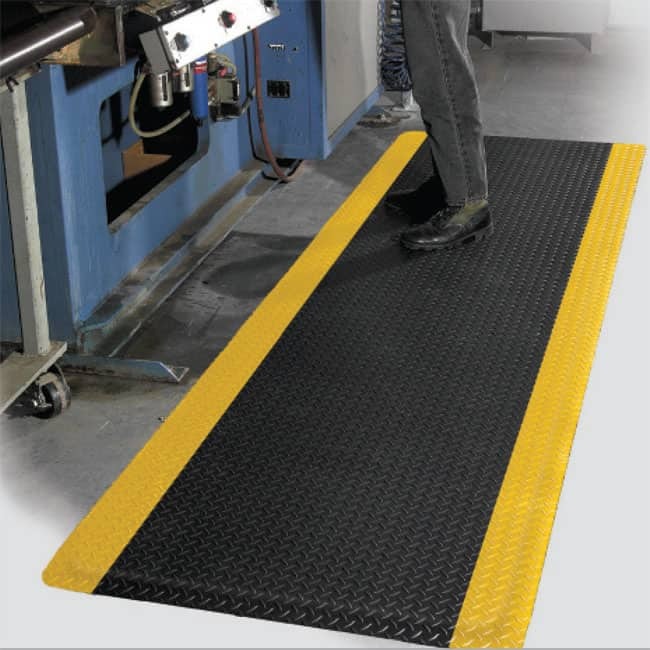 Industry favorite, non-skid, diamond pattern provides an abrasion and slip-resistant surface. 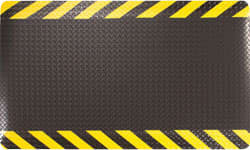 Surface resists common fluids, most chemicals, and is non-flammable. Durable PVC diamond surface bonded with our "No Glue Bond" technology to a resilient anti-fatigue, closed cell, PVC foam base. Bonded with heat instead of adhesives. A "No Glue Bond" means "No Delamination". 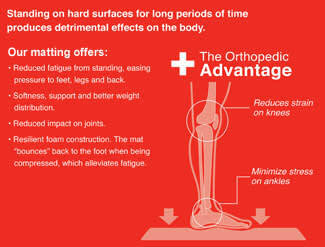 Ergonomically designed to reduce worker fatigue and improve comfort. Durable PVC diamond surface bonded with our "No Glue Bond" technology to a resilient anti-fatigue, closed cell, PVC foam base. Bonded with heat instead of adhesives. A "No Glue Bond" means "No Delamination". Ergonomically designed to reduce worker fatigue and improve comfort. 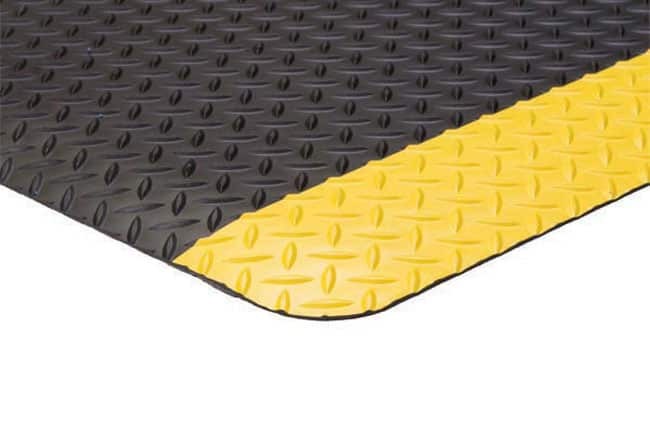 Industry favorite, non-skid, diamond pattern provides an abrasion and slip-resistant surface. 3/16" vinyl surface bonded to a 3/8" closed cell sponge underlay. Limited 3-year guarantee against wear and delamination. 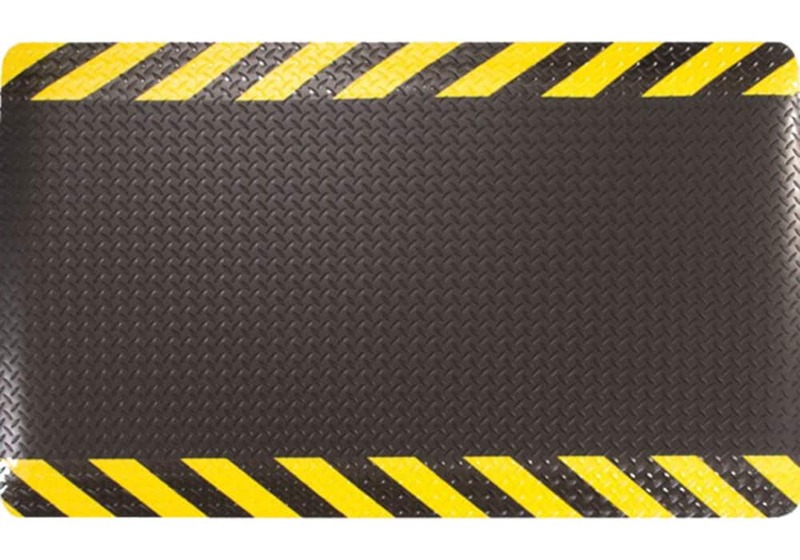 Available in black with OSHA compliant solid yellow borders or chevron yellow borders. 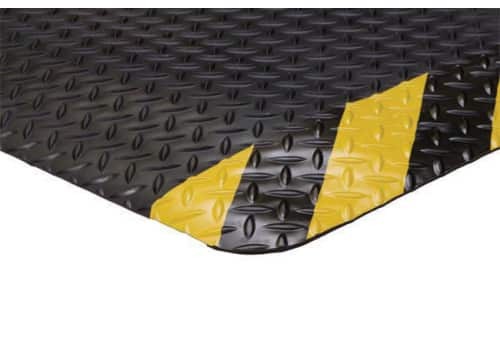 Mats and rolls have four tapered edges for safety. Also available in solid black or solid gray. Automotive and industrial work cells. Shipping and packaging work cells. 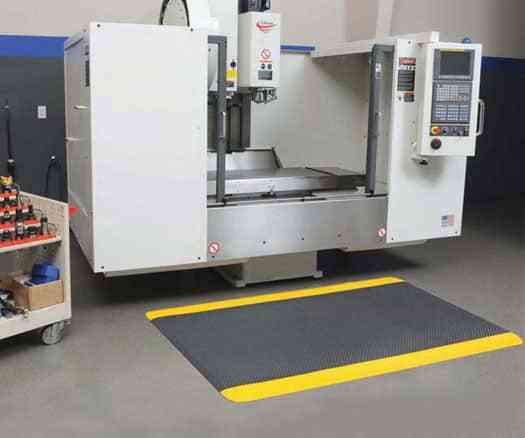 Machine shops and maintenance areas.